GE's Perfusion 4D Neuro is a fast, easy-to-use automated software for analyzing CT Perfusion images related to stroke and tumor angiogenesis. It's simple user interface and fully automated perfusion post-processing make it easy for you to diagnose quickly and accurately - and help make treatment decisions more confidently. GE leverages its deconvolution expertise, with its innovative delay corrected algorithm. Perfusion 4D takes perfusion assessment to the next level, with a new Smart Map that creates noise-reduced functional maps while preserving functional detail. Streamlined tissue classification and visualization incorporates thresholding of Blood Volume with any one of Tmax, MTT or Blood Flow. Display averaged time intensity information of an ROI. Fully integrated CT brain tumor protocol. 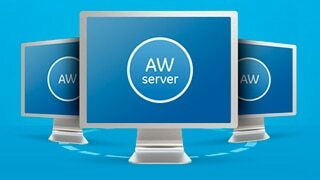 Advantage Workstation Volume Share 5 or higher. 2 display monitors (also compatible with single monitor).